I feel like Thanksgiving is one of those holidays that just get completely overlooked. Christmas decorations come out before Halloween even occurs now. Fall holidays seem to get skipped for the Winter ones. So I've partnered with Dixie Crystals Kid's in the Kitchen to do a fun project with the girls to create a nice fall craft that will go perfectly on our Thanksgiving table. 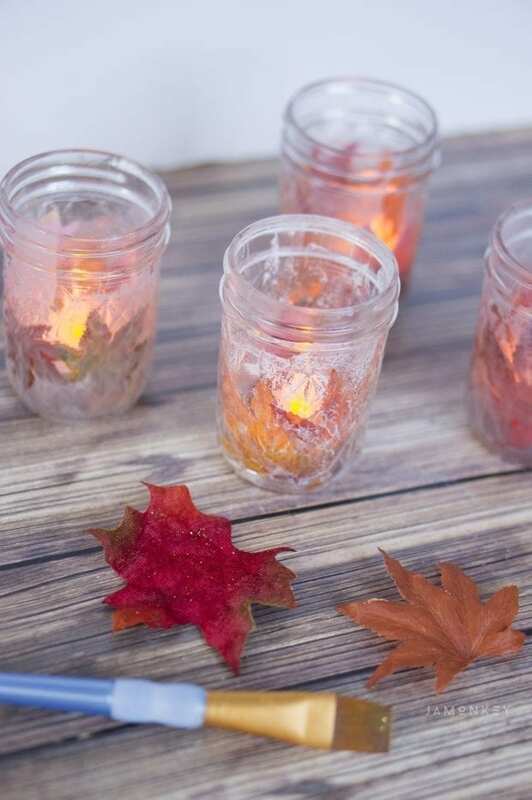 These Fall leaf votives are really pretty to place along the table. Small jars (recycled baby food jars are great!) We used mason jelly jars. Here is the video of the craft. Make the sugar paste: In a large bowl, mix the flour, sugar, and cup of cold water. Add boiling water. Stir to combine and let come to room temperature. 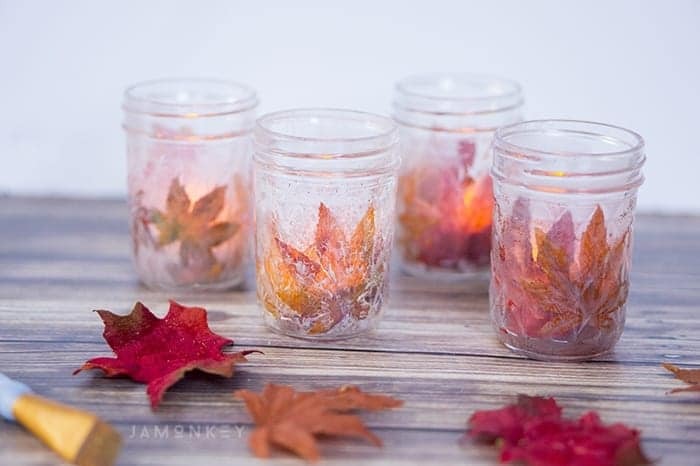 The kids loved making these cute fall votives. There are lots of great crafts and recipes that you can find in the Kid's in the Kitchen section. Check out some of the other great projects we've done here.